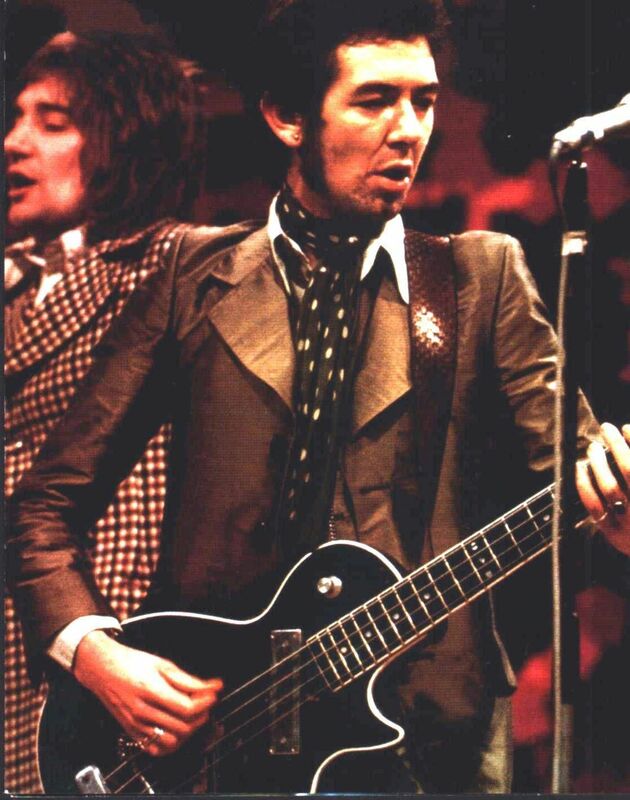 By 1975 Ronnie Lane had been successfully writing, recording & performing music for a decade. He was still a teenager when Small Faces’ R&B inflected Pop, as whip-smart as their Mod threads, became a UK chart-topping sensation of 1966. In collaboration with Steve Marriott he wrote 6 of the group’s 7 Top 10 hits. At the beginning of the 70’s Faces, a new alliance with Rod Stewart & Ron Wood, made a flash, spirited, raucous racket that was most pleasing on the ear. Ronnie’s more contemplative songs provided a lovely counterpoint to the good-time Stones-y rock. His pivotal role emphasised by the fact that on his departure in 1973 Faces continued but never recorded another studio LP. Ronnie Lane’s Slim Chance was more restrained with a wider range of instrumentation & styles. A showcase for a mature songwriter who could raise a smile & touch your heart with equal facility. 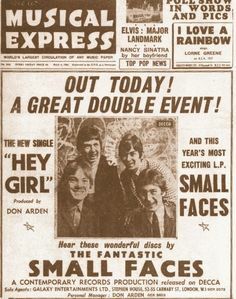 At the beginning of 1976 Ronnie was back in the charts when “Itchycoo Park”, an innovative, perfect Psych-Pop single from 1967, East End hippies stoned in Stepney, was re-released. Plans for a Small Faces reunion were advanced but Ronnie only attended the one rehearsal before he decided that it was not for him. The business part of making music had not always worked out to Ronnie’s advantage & it would have been uncharacteristic for him to be taking such a backward step. Besides, back home on Fishpool Farm, in Shropshire on the England/Wales border, he had something quite unique going on & a busy year ahead. In the burning Summer of 1975 Slim Chance had recorded “One for the Road”, their third LP. Down on the farm Ronnie had a 16 track mobile studio in an Airstream trailer & bucolic good times were captured with a rare immediacy & warmth. “Anymore for Anymore” (1974) shows the confidence of a man finally out on his own (“It was time to leave the band when Rod started buying his clothes at Miss Selfridge”) knowing & getting what he wanted. A debut 45, “How Come” had been successful but when “The Poacher”, a perfectly realised pastoral classic, was less so then commercial expectations for the album were probably revised. Such ageless, amiable, assured music didn’t suit the “progressive” taste of fans of British Rock in 1974. Released in 1976 it would take something for “One for…” to match the debut but it runs it close. There’s not the same mix of original songs & well chosen, sometimes surprising, cover versions, all 9 songs are written by Ronnie & some of them rank with his best. Even when he was laid-back & folksy our man’s tunes could still be anthemic. Live gigs became a caravan of musicians & circus acts, the Passing Show. Often performing in a big top tent it was an idealistic if expensive way of making a Rock concert a new experience. I saw Slim Chance in 1975 (unfortunately not in the tent) & boy they were good. Kate, Mrs Lane, danced the Can Can to the closing “Ooh La La” & everyone in the place, band & audience, were having a very good time. In October “Snakes & Ladders/the Best of Faces” hit the shops, a collection which seemingly diminished the part played by Ronnie in the group. It is understandable that the record label would want to piggy-back the international success of Rod Stewart but to include none of the songs on which Ronnie sang lead is less so. Any which way you hear it anyone with ears has the wondrous “Debris” in any Faces Finest collection, “Glad & Sorry” is pushing its way in there too. The LP sleeve has no trace of Ronnie either & that seems a little mean-spirited, particularly as the previous month had seen the release of an LP which highlighted how closely he had worked with his bandmates. “Mahoney’s Last Stand” is the soundtrack LP to a rarely seen 1972 Canadian film. Ronnie Lane & Ron Wood co-wrote 12 tunes, arranged one traditional song & recorded them at Glyn Johns’ Olympic Studio in Barnes, London. They got their mates along to jam. Their fellow Faces, Pete Townshend, Rick Grech, the Stones’ horn section (Jim Price & Bobby Keyes), it’s a list & I’ve missed some fine players out. The album was tidied up in 1976, retaining its ramshackle feel. “Tonight’s Number” is a rocking instrumental opening jam, “Chicken Wired” made it on to “Anymore for…”. It’s “Safety Pin Queen” that features here because it’s a Faces riff (on the theme of “Cindy Incidentally” ?) & we get to hear the peerless keyboards of Ian McLagan, the bottleneck skills that got Woody a job with the Stones, underpinned with great work on the bass by Ronnie…glorious ! Slim Chance had been dropped by Island records & the expense of keeping his Passing Show on the road was making things tight. Ronnie had contributed to 3 LPs made in tribute to Indian spiritual master Meher Baba by Pete Townshend off of the Who. Ronnie contacted Pete with a view to having him produce his next record. This resulted in the pair entering Olympic Studios in the Winter of 1976 to record a collaborative LP. “Rough Mix” (1977) has 5 songs by each contributor & just one co-composition, the instrumental title track & the blend is seamless. It, in my opinion, is a great example of 1970s British rock & its influences made by those musicians who started in the 1960s. Up there with “Every Picture…”, “All Things…” & Exile…”, that good ! “Rough Mix” is worth some of your hard-earned just for that driving beat of Charlie Watts on Pete’s rocking “My Baby Gives It Away” or for Eric Clapton’s Dobro accompaniment to Ronnie’s poignant, perfect “Annie”. It was during the “Rough Mix” sessions that Ronnie was diagnosed as having multiple sclerosis, a wasting disease which attacks the central nervous system & for which there is no known cure. This limited more than his musical activities, there was just one more solo LP, “See Me” (1979), A hook up with Steve Marriott (the clumsily named Majik Mijits) was recorded but not released for 20 years. After an extreme course of snake venom injections he was back & broke in London. The great & the good of the British Rock aristocracy rallied around for a benefit concert, Clapton, Beck & Page, the 3 guitar stars of the Yardbirds together, which went so well that there were 9 further US dates. Ronnie was able to move to Texas’ more beneficial climate. He played when he could, Page, Rod & Ron contributed to his medical bills. He died on the 4th of June 1997 in Colorado. He was just 51 years old. That’s a sad end to Ronnie’s story. I was lucky enough to spend just 10 minutes in his company, he was affable, funny, a true gent & this seems to be an opinion shared by those who knew him well. I do know that while writing this post I have listened to great music made by Small Faces, Faces, Slim Chance & with Pete Townshend. 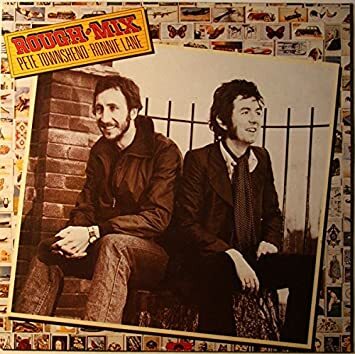 Twenty years after Ronnie Lane’s passing “Ogden’s Nut Gone Flake”, “Rough Mix”, a pile of unforgettable singles & the treasures from his own band are never far away & always lift the spirit. “And now for your delight ah, the darling of Wapping Wharf launderette, Ronald ah ‘Leafy’ Lane!!!”. Get on it.